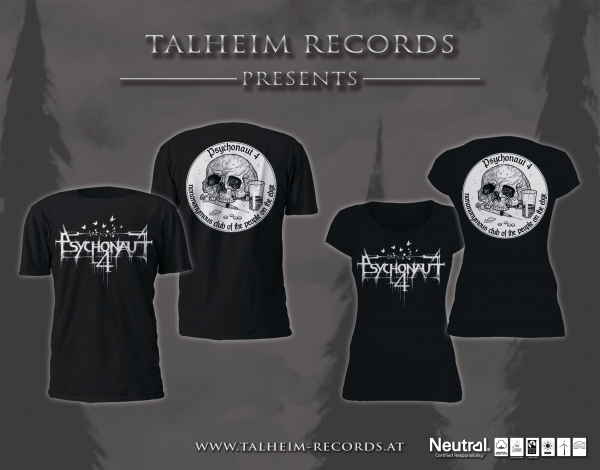 Produktinformationen "Psychonaut 4 - Nonanonymous club of the people on the edge (Frauen)"
T-Shirt der georgischen Black Metal Band Psychonaut 4 mit ihrem Emblem "Nonanonymous club of the people on the edge". Das Psychonaut 4 T-Shirt wurde aus Biobaumwolle hergestellt. Weiterführende Links zu "Psychonaut 4 - Nonanonymous club of the people on the edge (Frauen)"